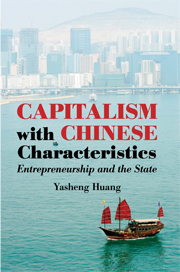 China’s brand of capitalism faces "monumental odds"
Alan Wheatley of Reuters recently examined the research of Cambridge author Yasheng Huang in his analysis of capitalism in China. Huang’s research is especially interesting in that it turns conventional thinking about free markets in China on its head. Though many feel that China’s markets are liberalizing, Huang points to leaps and bounds in entrepreneurship in rural areas two decades ago — a trend that has reversed, with money going straight to state-owned companies and glittering high-rise buildings. ‘BEIJING (Reuters) – A self-serving state deliberately impoverishes the countryside, stifling business and sending illiteracy soaring, in favor of building skyscraper-raked metropolises admired by the foreign capitalists it woos. Welcome to the China of U.S. academic Yasheng Huang, whose trenchant analysis of the country’s 30 years of market reforms will discomfit those betting the current economic downturn is but a blip in the Middle Kingdom’s inexorable ascent. cing an urban, state-driven economy where consumption has been sacrificed on the altar of investment.